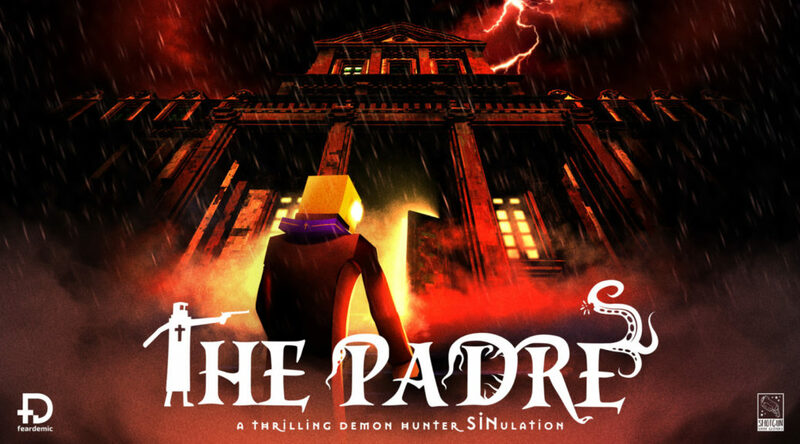 The Padre, a retro stylised 3D horror adventure game tapping deep into the roots of classic horror games. The thrilling Demon hunter SINulation launches April 18th, 2019 on PC, PS4, Switch and Xbox One. A new gameplay trailer preaches the deeds of The Padre – A witty demon-hunting priest on a mission to save lost souls from the temptations of sin and from err… well actually dying from real, physical manifestations of evil. You can catch the new trailer below. On the trail of a lost cardinal, The Padre soon finds himself alone and without his demon-slaying tools inside a dreary mansion where a larger supernatural power is at play. But fear not! The dark and striking atmosphere is often cut by the wicked humour of the witty Padre. You will need to use your brains to solve challenging puzzles, as well as your brawns to fend off monsters, all while trying to unravel the mysteries of the mansion and your own dark past. Be wary though, if you fail enough times it’s permanent GAME OVER!